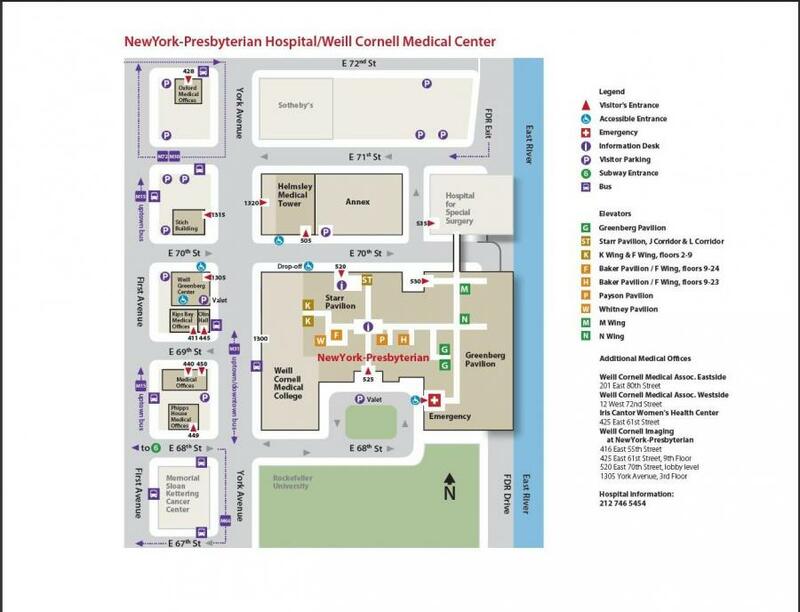 Click to enlarge the campus map below to view the location of the Starr Pavilion at NewYork-Presbyterian/Weill Cornell. For custom directions, click “directions” in the map above and enter your address. Approaching from south of East 68th Street – Take the FDR Drive northbound to the 61st Street exit. Make right onto York Avenue and go north to 70th Street. Approaching from north of East 68th Street – Take the FDR Drive southbound to the 71st Street exit. Make left onto York Avenue and go south to 70th Street. Daily menu selections are available by calling 746-MENU. There are vending machines outside the Garden Café open 24 hours a day.